It has taken Pastor / Teacher John MacArthur over 30 years to teach through the New Testament. He finished just recently. How about your Pastor? Now in the time the Lord has left Pastor MacArthur, he has turned to the Old Testament to teach the foundation upon which Jesus Stands. Teachers of Scripture, the Pastors of our churches, the Shepherds of HIS FLOCK of which YOU are His Sheep—–His TRUE Shepherds MUST focus on opening the minds of their congregations to understand SCRIPTURE; NOT how to live well in a world that is passing away before our eyes. That means they need to Preach and Teach through the Scriptures book by book. That is called EXPOSITIONAL Teaching. Jesus said that HE IS the SUBJECT of the ENTIRE BIBLE. That includes the OLD TESTAMENT which is the Bible that Jesus taught from. The first sermon that Jesus gave when HE came out of the Tomb, was on the Road to Emmaus. He preached about HIMSELF from the Books of Genesis through Malachi to two disciples. Open your Bible and read Luke 13 – 49. 26 -27 “Was it not necessary for the Christ to suffer these things and to enter into His Glory. And beginning with Moses and with all the prophets JESUS explained to them the things concerning Himself in ALL the SCRIPTURES”. The Messiah JESUS came to die for the sins of ALL Mankind so those who turned to His Cross in REPENTANCE would have Eternal life in Heaven. Those who do not repent have Only ETERNAL HELL to look forward too. You need to understand the Pre-incarnate Christ, Jesus Before the Manger. That is the ONLY WAY you will understand the Majesty, and the Glory of JESUS the SON of GOD, the MESSIAH of ISRAEL and the CHRIST of HIS CHURCH….The Greatest Story EVER TOLD… AND the Foundation upon which HE STANDS. “Jesus came IN Fulfillment of the Old Testament so HE Could FULFILL the Old Testament. 1. 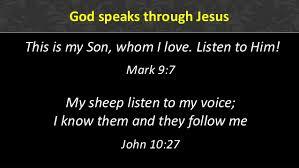 The Lord Jesus Christ declared HE IS in the Old Testament and Revealed it in His Teachings. 2. The Apostles and the Disciples fully believed in HIM, because they understood the Old Testament. 3. The Apostles and Prophets preached The Gospel of Jesus Christ based on the Old Testament. 4. The writers of the New Testament based their teachings in the Old Testament. 5. His story was in the New Testament, but His Bible was the Old Testament” Pastor MacArthur. IT’S ALL THEIR IN THE OLD AND NEW TESTAMENT. ALL YOU HAVE TO DO IS BLOW THE DUST OF THE BOOK AND BEGIN TO SERIOUSLY READ IT IN 2015. Then maybe, just maybe you will not be fooled into believing the Coming Lies of the FALSE MESSIAH, Satan’s Puppet; the One World Leader called the Anti-Christ. Are We In The END TIMES ? How can We Recognize the Anti-Christ? WHO ARE YOU…. REALLY ? ? ? that GOD has revealed the Past, the Present and the Future of the human race in HIS Bible? that if you seriously read His Words you will be shocked to see that you are there, written on every page, because your DNA is filled with Sin, and God looks upon you as part of Fallen Humanity? Part of the Many that the Lord will Destroy at His 2nd Coming? that one of the Main Signposts in God’s Word of the coming end of this current world system is that “Morality will be turned upside down and that what is right will become wrong and what is wrong will become right? Your future… will greet you with either SHOCK or AWE. You need…insight into what really is going on in this world & what is coming soon. You need… to begin a journey into the Word of God, so you will be prepared for YOUR Future. You need… to find a Biblical World View of Events. Your Personal journey begins with your understanding the very first sentence in the Book of Genesis and will be complete when you read the last sentence in the Book of Revelation. Revelation 22:21 “and He who testifies to these things says, YES, I AM coming quickly. AMEN…Come LORD JESUS. Living in the DARKNESS ALONE and you will NEVER…. FOREVER be FOUND ! We have FINALLY reached the Dawn of Eternity. The Road Home has been Sweet and Bitter for each of us who Believe in JESUS as our SAVIOR and LORD. The light we see at the end of the Tunnel of Darkness is Holy Fire. WE live as part of a very special generation. The generations before us have walked in FAITH, but WE will SOON Walk by SIGHT. Because you will hear the TRUMPET with the Ears of Your HEART and you will be taken up in the RAPTURE because you are one of the LIVING STONES that make up HIS ONE TRUE CHURCH. The Time of Fallen Flesh is OVER, the Eternity of the RE-Born in the Spirit, Children of God, is just beginning. NO MORE Parables and Comparisons of Darkness and Light. Watch the Leaves of the Trees as the wind moves them. Do you really know what they are doing? They are lifting up HOLY HANDS through the power of the HOLY SPIRIT as they do what most of us do not do. They are praying for the SALVATION of those we love in our families. Those who are NOT SAVED. Those who will not be at the Family Reunion of the Saints in heaven. DON’T LEAVE THEM BEHIND. THEY WILL BECOME THE FORGOTTEN TO YOU. BUT, THEY WILL REMEMBER YOU FOR ETERNITY AS THEY CRY OVER AND OVER …. FOREVER…. WHY DIDN’T YOU TELL ME? When you signed on to FAITH in CHRIST you enlisted on the winning side of the War of Ages. For as sure as you live your Soul, your Spirit, your Mind and your Heart have been ignited by the Lion of the Tribe of Judah’s ROAR that HE shouted from HIS Cross… “IT IS FINISHED”. That cry was a call to war and it was heard throughout the heavens, that cry brought an earthquake that opened the graves in Jerusalem so the dead walked forth and that cry now echoes throughout time putting demon angels and their commander on notice…there is no longer anywhere to hide. Don’t sit comfortably by the campfire being warmed by others like you. You who know HIM, you who claim to know HIS voice, you who have eyes to see and ears to hear, you heard HIS CALL to … COME…FOLLOW ME! He did not call you to follow Him to heaven…that will come later. HE Calls you today to follow HIM to WAR… for the hearts and minds of those you love…your wife, husband, son, daughter, grandchildren, grandparents, brother, sister, aunt, uncle, cousin and friends. Loved ones who will be Left Behind for Eternity. You are called to go forth into the darkness for you have seen a great light and you have been empowered to serve no matter who you are, no matter where you live…. no matter what the circumstances. In Isaiah’s vision…God said, “Who will go for us? The Holy Angels were silent, but Isaiah said…”Lord Send Me”. That is the same commitment before the Lord of Hosts you and I must have in these end times we live in. We as believers need to go forth and say… Lord Send ME! REMEMBER before you go: to reach into HIS fire and light your candle …and then shine it into the darkness and watch in amazement as it grows into a PILLAR of FIRE ! The minds, and emotions of mankind are twisted by Sin. Mankind as individuals, are driven by what God Said He HATES the Most….their PRIDE. Mankind is focused on Self without regard for those near him locally, nationally or globally. Hearts are darkened and filled with shadows. Hate and Pride are rising up out of every nation on the face of the earth and has now reached Epic proportions. Mankind is finally beginning to groan as we daily inflict Mental, Emotional and Physical Pain on each other literally destroying our own world. But we groan for ourselves, not for redemption. Adam the Father of Sin who represents mankind, is on his death bed. His breathing is shallow and he is no longer awake. He is hooked up to life support and His days are numbered. Very soon, Adam / Fallen Mankind will be no more. As Believers who recognize the unfolding of End Times Prophecy, you know things are only going to get worse. Your prayers should be focused on those you love that do not know Christ. Your Father, Mother, Sisters, Brothers, Children, Grandchildren, Grandparents Aunts, Uncles, Cousins and dear Friends. Pray that God would change their hearts and give them eternal life so they will be with you in Heaven and be spared from what is coming on the earth and ultimately experiencing the 2nd Death of ALL Non-Believers. As for praying for the Peace of Jerusalem, realize that until JESUS comes there will be NO TRUE PEACE in Jerusalem. EXCEPT for the first 3.5 years of the Tribulation when the Anti-Christ, the FALSE MESSIAH creates a false peace. If you want to pray for the peace of Jerusalem then Pray for the Coming of KING JESUS and the NEW JERUSALEM.